Welcome to the Mission Bay Marlin Club (MBMC)! Do you LOVE to fish salt water like we do? 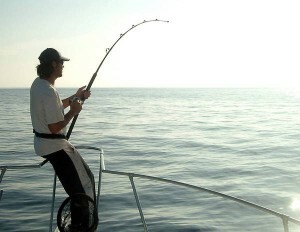 MBMC has traditionally been the club of choice for many of the best anglers on the Southern California coast. We invite new members, male, female and juniors, to participate and get the most out of the MBMC experience. Annual primary membership dues are $110.00 and dues for family members living in the same household are $40.00 per family member. Children 16 years old or younger not living in the household may also be included at the family member rate. Dues are payable on January 1 of each calendar year. To become a member, submit a completed membership form and dues payment to the address on the form. We look forward to seeing you out on the water and at our social gatherings! Click here for the online Membership Application OR or complete the mail-in Membership Form (pdf) . FISHING INFORMATION – The opportunity to meet and talk to members who fish the local waters on a regular basis. They are a wealth of fishing knowledge and information. SOCIAL FUNCTIONS – Many lifelong friendships have been made. Functions are held throughout the year with the opportunity to socialize with other members. SEMINARS – Glean knowledge and ask questions of MBMC members and local experts in the sportfishing industry who have thousands of hours of experience on the water. 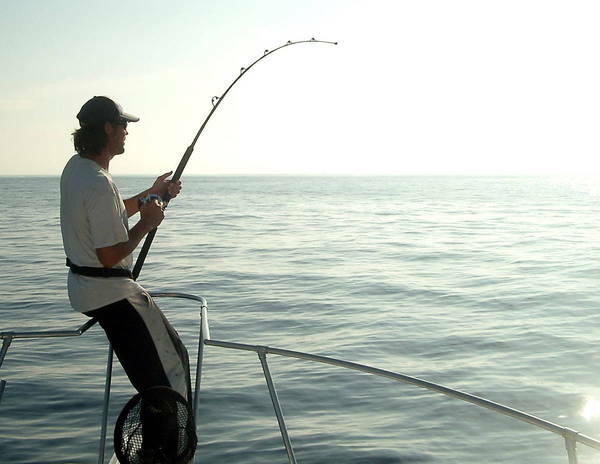 TOURNAMENTS – The MBMC sponsors numerous tournaments targeting Rockfish to Marlin, including the Charity Heart Marlin Tournament. FISH-OF-THE-MONTH COMPETITION – The participating Fish-of-the-Month angler catching the largest fish by weight in accordance with Fish-of-the-Month rules wins a fishing reel. Entry fee is $20 per year per angler. WATERFRONT CLUBHOUSE & IGFA WEIGH STATION – The MBMC clubhouse is located at 2590 Ingraham Street overlooking Mission Bay and next to Dana Landing Market and Fuel Dock. MBMC’s on-the-water IGFA certified weigh station is available for member use at the Dana Landing fuel dock. MONTHLY NEWS LETTER and WEBSITE – Our website, www.missionbaymarlinclub.org, includes a discussion board for sharing club and fishing information, the monthly OOPSLINE newsletter focusing on current club happenings, fishing reports, standings, and recognition of individual fishing accomplishments.